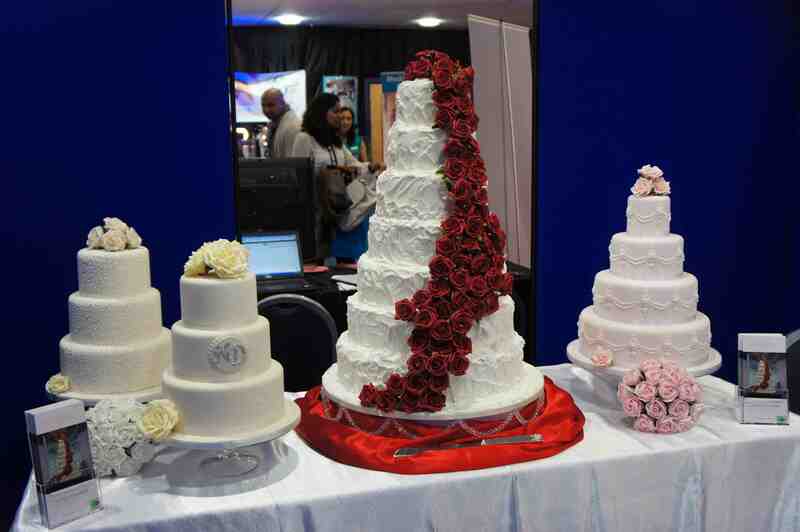 Bridal Extravagance Sugarbliss Wedding cake Exhibition. We were delighted this Sunday to be exhibiting our wedding cakes at the fabulous ‘Bridal Extravagance’ Walkers Stadium, Leicester City Football Club. 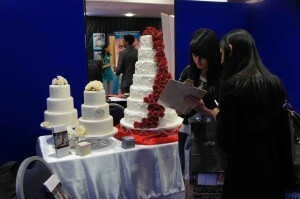 The wedding show saw over five hundred brides and grooms to be in attendance. 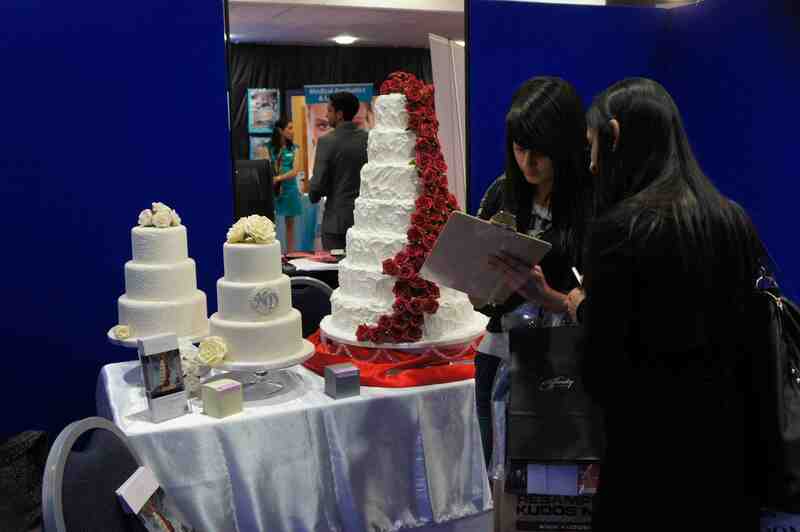 At the event we had another great opportunity to display this months new wedding showcase cake which left many brides dreaming of cake perfection on their wedding day. As usual, our beautiful individual wedding cake taster boxes were as popular as ever. Our taster cake boxes gave the brides and grooms at the exhibition the opportunity to take home with them our delicious cakes and taste our gorgeous flavours. Our superb tasting eggless cake flavours also proved to be in very much demand. The number of wedding exhibitors was at a fantastically high level, with brides and grooms being able to find exactly everything to make their wedding day absolutely perfect in every detail, from stunning venues to the colourful bridal wear. During the day, we had the pleasure of discussing many exciting new wedding cake design ideas. We are really looking forward to designing and working with many of the brides and grooms who attended the ‘Bridal Extravagance’, creating some more wonderful and stunning wedding cakes, which we just love! This entry was posted in Wedding Cakes and tagged Wedding cake exhibition by Sugarbliss. Bookmark the permalink.